What is ear (aural) disease? 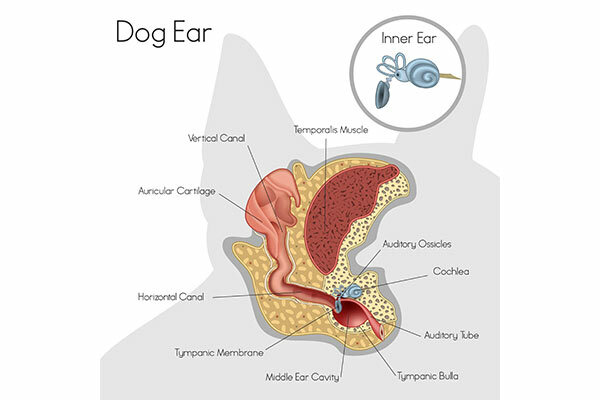 Aural or ear disease is a generic term that encompasses a range of illnesses and ailments that can occur to any part of the dog’s ear, including the external ear flap, the ear canal or the deeper structures of the ear. Ear disease can range from a very common and easily treatable ear infection to adenocarcinoma, a rare malignant tumour. Canine ear diseases, particularly ear inflammation and infections, are a common occurrence and most dogs will suffer from ear irritation or sore ears during their lifetime. These can affect one or both ears and can occur in conjunction with skin disease at other sites on the body. Otitis externa is the most common ear disease in dogs. It affects the outer ear and is characterised by inflammation of the external ear canal. Otitis media is an infection of the middle ear, while otitis interna is an inflammation or infection of the inner ear structures. Because of its mostly vertical ‘L’ shape, debris, wax and moisture are easily retained in the dog’s ear canal, creating the perfect conditions for inflammation and infection to set in. Untreated ear disease of the outer ear can progress further into the ear, causing additional problems and complications. The ear performs two important roles – it is an organ of hearing and an organ of balance. There are three parts to the ear, the outer, middle, and inner ear. The outer ear comprises the pinna (the ear flap, or visible part of the ear that is made of cartilage and covered by skin, fur, or hair) and the ear canal. The pinna is shaped to capture sound waves and funnel them through the ear canal to the eardrum. In dogs, the pinnae are mobile and can move independently of each other. The size and shape of the pinnae vary by breed. The dog’s ear canal is a tube shaped like an ‘L’ and lined with skin. It extends much deeper than the human ear canal and creates a better funnel to carry sound to the eardrum. The average dog can hear about four times better than the average person and can detect sounds at higher frequencies than the human ear. The middle ear comprises the eardrum and a small, air-filled chamber that contains three tiny bones, known as the hammer, anvil, and stirrup. It also includes two muscles, the oval window, and the eustachian tube (a small tube that connects the middle ear with the back of the nose, allowing air to enter the middle ear). The inner ear is a complex structure that includes the cochlea (the organ of hearing) and the vestibular system (the organ of balance). There are numerous causes of and contributing factors to ear disease and sore ears in dogs, some being very common and others extremely rare. Most dog ear problems appear to result from an allergy, such as airborne and food allergies, or from bacteria or yeast. Allergies often lead to ear canal infections, which can extend to the pinna (outer ear). Anatomical features such as excessively hairy ear canals and long floppy ears in certain dog breeds do not result in ear disease on their own. However, they can contribute to dogs’ ear problems, and can also make treatment more difficult. Considered to be the most common underlying cause of dogs’ ear irritation, allergies can cause inflammation of the skin lining the ear canal, leading to overgrowth of bacterial and yeast organisms within the canal. A dog’s sore ears may be the only symptom of the underlying allergy. Common food allergies include beef, chicken, fish, eggs, dairy and soy. 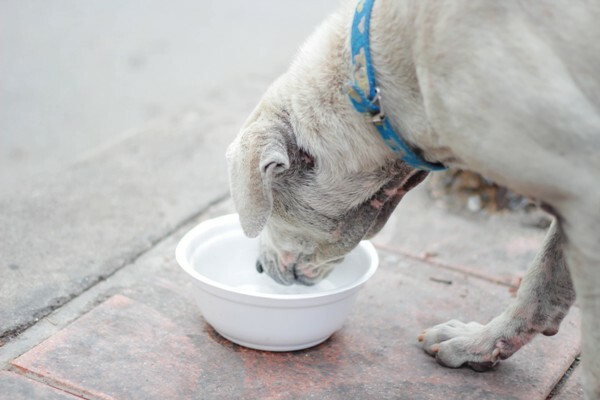 Food allergies will continue to cause canine ear problems for as long as the offending ingredient is a part of their diet and can have an impact for weeks after consumption. 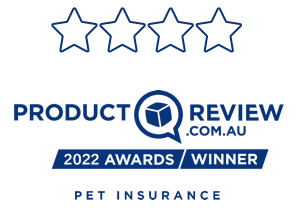 Common environmental allergens include pollens (grasses, trees and weeds), dust mites and moulds, which frequently cause dogs ear irritation and itchiness. Airborne allergies tend to occur seasonally, so a dog with allergies may be more prone to ear infections during a particular time of year. Contact dermatitis, an inflammatory skin disease caused by contact of the skin with a chemical, is another cause of red and sore ears. 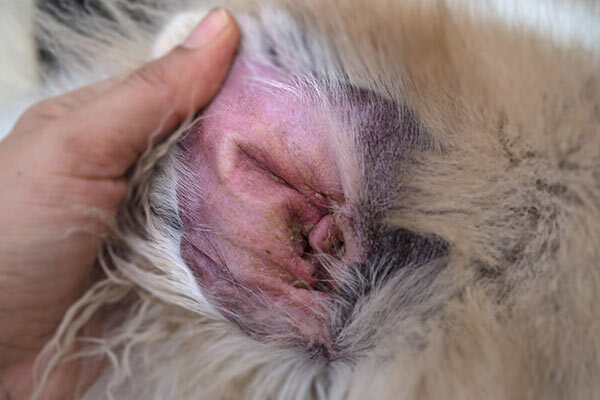 In some dogs, the inner, hairless side of the pinna can become inflamed and irritated after the application of certain ointments or medications. Insect bites can cause inflammation of the skin and as a result the dog’s ears become red, swollen, itchy or blistering. There may be small, hard, round bumps and raised, reddened areas with central bloody crusts that itch. Tissue changes may be found on the tips or on the folded surface of the outer ears of dogs with flopped ears. The type of insect varies depending on the season, environment, and geographical location; they include ticks, mosquitoes, flies and fleas. Ear mites are tiny parasites that burrow under a dog’s skin, often on the edges of the ears, and can cause intense itching. Mites are contagious, spreading easily between animals, and dogs that live with cats are much more susceptible. Bacteria, fungi and yeasts are secondary causes of dogs’ sore ears, following a primary irritation such as an allergy. These can quickly multiply in the warm, dark and moist environment within the ear, compounding the dog’s ear problems. Small objects, such as flies, plant matter or dried ear medication, can lodge in the ear canal, causing the dog ear irritation and discomfort. Plant material such as grass seeds and grass awns (sharp grass seeds that can burrow into the skin) may be a cause of canine ear problems in spring and summer. More common in older dogs, some hormonal diseases can weaken the immune system and result in ear disease. Several autoimmune diseases may affect the outer ear and the ear canal. Other areas of the body are usually also affected, including footpads, mucous membranes, skin and mucous membrane junctions, nails and nail beds, and the tip of the tail. 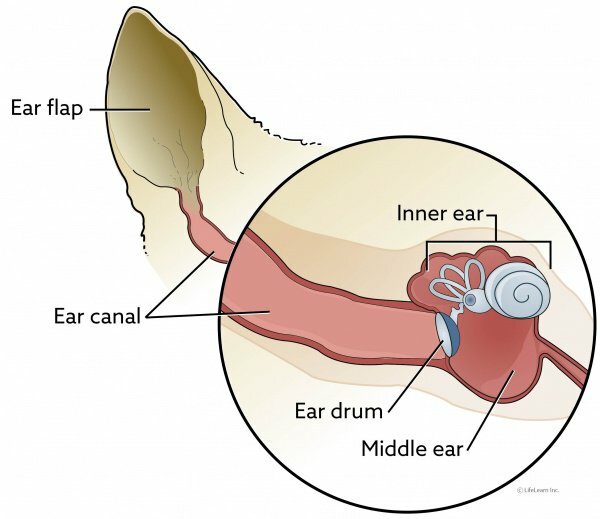 Floppy ears cover the canal, which prevents foreign objects from entering, but they also create a dark and damp environment within the ear. Upright ears have better air circulation, but it is easier for flying insects and other small objects to enter them. Excess hair inside the ear canals, common in poodles and terriers, can also cover the canal opening, restricting airflow and trapping moisture. Excess wax production in the ear canals. Environment – a climate of high humidity and high temperature. Maceration (soft, soggy skin) – from frequent wetting of the ears while swimming, bathing or hosing. Trauma – usually from inappropriate cleaning. Concurrent systemic disease – for example, pyrexia. 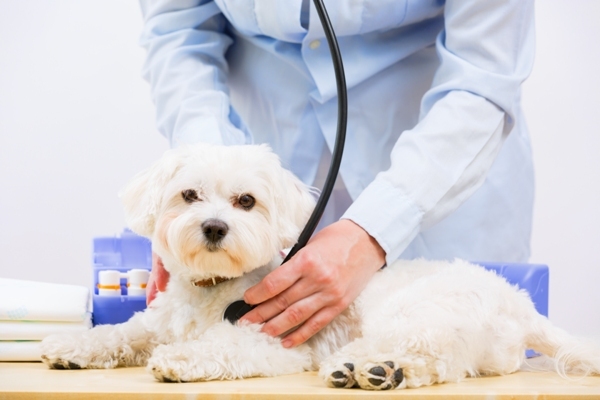 How is ear (aural) disease in dogs diagnosed? If the dog’s ears are red, there is discharge from the ears, or other symptoms that suggest a dog has sore ears, it should be examined by a veterinarian.  Because there are multiple causes of and contributing factors to dogs’ ear problems, it is important that an accurate diagnosis is ascertained by the vet. Ear disease in dogs can occur in conjunction with skin disease at other body sites. For this reason, vets frequently examine the whole body, even when the ears seem to be the main problem. To start, the vet will visually inspect the outer ears, noting any signs of inflammation, injury from trauma, swelling, secretions, or excessive ear wax. The vet will then examine the ear with an otoscope, looking into the ear canal to identify the cause. In some cases, hair may need to be removed from the ear canals to allow a clear view of the eardrum. Otoscopic examination will allow identification of foreign objects deep in the ear, impacted debris, low-grade infections with parasites, and ruptured or abnormal eardrums. Sometimes excessive overgrowth of tissue or the development of a tumour may be observed. Otoscopic examination may require sedation, especially if the ear is very painful, if the canal is obstructed with discharge or widespread inflammatory tissue, or if the animal is uncooperative. A smear of ear discharge or fluids may be tested for microorganisms. These organisms can cause disease if the environment of the ear changes in a way that allows them to multiply and cause an infection. Microscopic examination of a smear by the vet can quickly determine if this type of overgrowth is present. A dark discharge in the canal usually signals the presence of either a yeast infection or a parasite such as ear mites but may also occur with a bacterial or mixed infection. The vet will examine the discharge for eggs, larvae, or adults of ear mites. 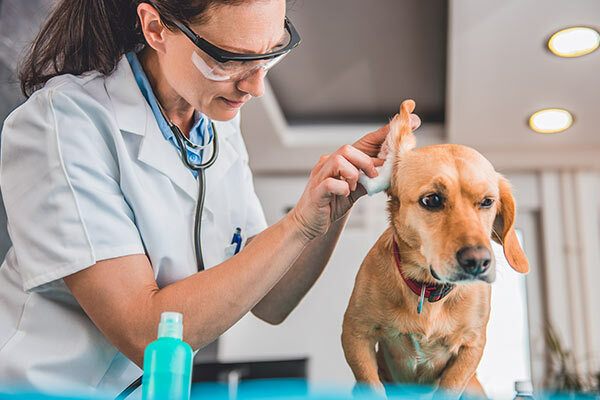 If a bacterial infection is suspected, the vet may send a sample of the ear discharge to a laboratory to identify which bacterial organisms are causing the infection, in order to determine the proper ear treatment for dogs. 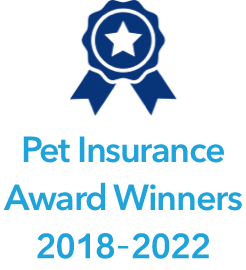 Tests, including x-rays, computed tomography (CT), magnetic resonance imaging (MRI), neurologic tests, and electronic tests may be needed to confirm certain conditions, such as deafness. Immune-mediated diseases may be confirmed using biopsies of primary lesions. Allergy testing may be recommended. Hair samples for ringworm tests may be indicated. Biopsies from animals with long-term, obstructive, inflammation of the external ear canal in only one ear may reveal whether tumours are present. X-rays may be taken when better visualisation of the eardrum is needed, when inflammation of the middle ear is suspected, or when neurologic signs (such as loss of balance) are present. Treatment for dog sore ears is relatively straight forward. It is essential to diagnose the primary cause of the dog’s sore ear, as treatment needs to target this specifically. If not, relapses are likely to occur; hence many dogs have recurrent ear infections. Most commonly, ear infections can be treated with a professional cleaning by the vet, followed by a course of ear medicine for dogs, administered at home. The vet may prescribe topical or oral medicine, or a combination of both. If foreign objects are seen in the ear canal, they require removal. This usually needs to be done under sedation to avoid the risks of damaging the deeper structures like the ear drum. If allergies are diagnosed, further investigations for these diseases will probably be recommended. If infections are identified, ear drops are usually prescribed, and they are used until the infection has been brought under control. Yeast infections can be treated with a combination of systemic and topical anti-fungal medications and will clear up in about two to three weeks when properly treated. Ear cleaning solutions are also sometimes used to help break up the waxy debris and return the ear canal to normal. Ear mites can be treated with anti-parasitic medications applied either systemically or to the ear canal directly. Common in cases of ear mites are secondary infections of the ear canals with bacteria or yeast which require treatment with topical medications and ear cleansers. Treatment of parasite and insect bites includes controlling the insects or parasites in the environment with the use of insecticides, repellents as well as medications to reduce inflammation and itching. There are antibiotic and non-antibiotic treatments for bacterial infections, with the non-antibiotic treatments being used in chronic cases to prevent resistance. Antibiotics attack any bacterial infection present and help with the immediate relief of inflammation. Antibiotic treatment may be topical in the form of ear drops or given orally as a capsule or tablet. Non-antibiotic treatments include shampoos with chlorhexidine as well as common bleach, both of which kill the bacteria on the skin. These should only be used if recommended by your vet. Avoid using any shampoos inside of your dog’s ear canal. Once treated properly, the infection should clear up within two to three weeks. Remove the allergen from the environment, if possible, including keeping her off grass and keeping her inside as much as possible during allergy season. Discuss the pros and cons of giving your dog antihistamines with your vet – these medications only work in about 20 percent of dogs. Veterinarians diagnose allergies based on the dog’s signs and history and by ruling out other causes. Food allergies are determined or ruled out by a strict dietary trial, which must adhere closely to the vet’s directions. A food allergy is a long-term condition that usually requires life-long management. Diet changes – for example, a novel protein diet (feeding your dog a protein they haven’t eaten before, like kangaroo, deer or some types of fish) or a hydrolysed diet, which deactivates allergens by shrinking down the protein source in a specific food so that the dog’s body can no longer recognise them. Contact dermatitis is an inflammation of the skin in response to certain creams or ointments, which can develop 1 to 7 days after starting a treatment. Typically, the dog’s ears are red and swollen and have bumps or sores. Some dogs will experience itchiness and pain. 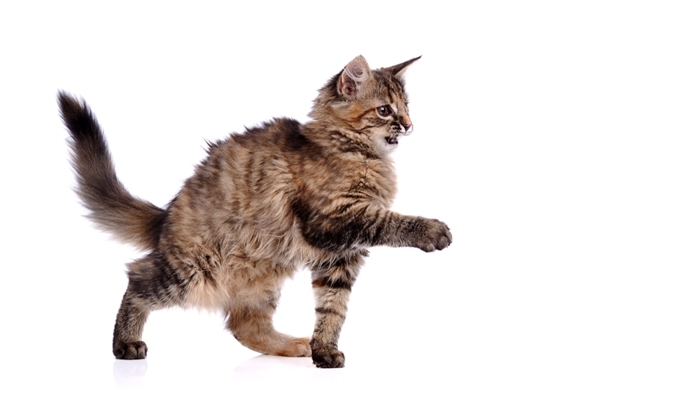 Vets usually treat the condition by stopping all ointments or other topical medications. Switching to a new ointment is unlikely to help, because most products contain similar inactive ingredients. Ear hematomas are fluid-filled swellings that develop on the inner surface of the ear flap in dogs. While the cause of their development is unknown, symptoms often include head shaking or ear scratching to relieve the itchiness. Ear hematomas are usually seen in dogs with environmental or food allergies in which the ear canals are the primary sites of allergic inflammation and itching. Treatment typically involves surgery to drain and flush the swellings. The vet may place a drain made out of a soft tube in the area to help prevent fluid from building up again. Medications may also be prescribed. Check your dog’s ears regularly for abnormal discharge, odour and redness. If the outer ear appears dirty, clean gently with a cotton ball dampened with a solution suggested by your vet. After baths and swimming, dry your dog’s ears thoroughly. If your dog has excessive hair in the outer ear canal, it should be removed by the vet or a professional groomer. Do not use cotton swabs or ear buds in your dog’s ear, as these can worsen the problem, for example by pushing a foreign object or wax further into the ear canal. If your dog’s ears are red or obviously sore, or there is something stuck in her ear, take her to the vet for examination. Ear disease is a very common problem in dogs, and most dogs will experience it at some time.  Always take your dog to your vet for a formal diagnosis and treatment advice if she is showing any signs of inflammation or ear disease or appears to have something stuck in her ear. 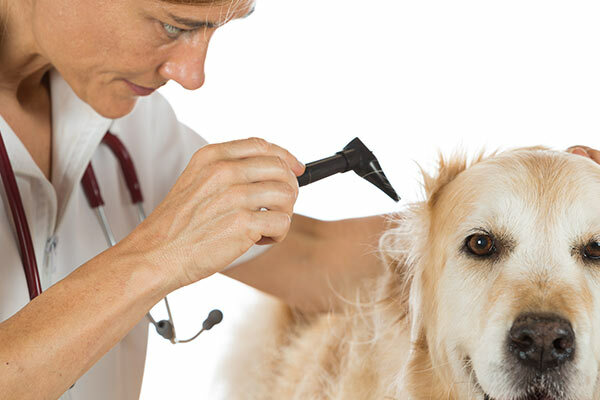 Your vet will use specific tools, like an otoscope, to look at your dog’s entire ear canal and ear drum and properly diagnose the cause of your dog’s sore ear. 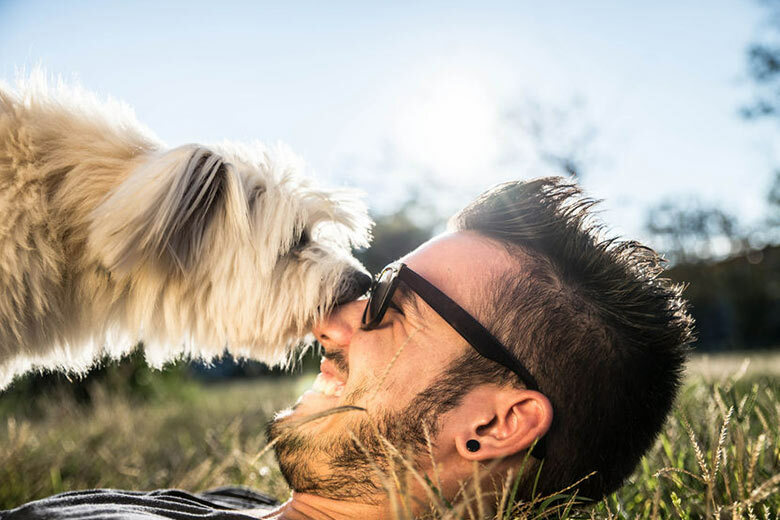 Common causes of dog ear irritation include bacterial infections, yeast infections, mites, foreign objects and allergies (to foods and external factors like pollens and grasses). 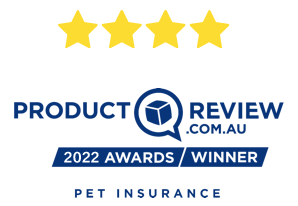 Because secondary causes can develop, for example an untreated mite infestation can lead to a bacterial or yeast infestation, it is essential to obtain a vet’s diagnosis to establish the primary cause of the problem. Careful identification and appropriate treatment can ensure a very successful outcome. Ear infections can be very painful and if left untreated can harm both the ear canal and middle ear. However, ear medicine for dogs’ sore ears should only administered after consultation with your vet. 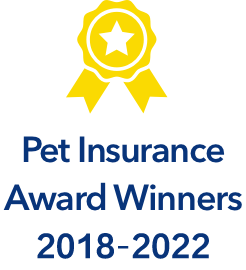 A pet insurance policy with Bow Wow Meow will help ensure you can always afford to give your pet the best treatment for ear disease and other related conditions. Addison’s Disease Addison’s disease is a deficiency of cortisol (a hormone produced by the adrenal gland) or aldosterone (a steroid produced by the adrenal gland).